Training is provided by an accredited institution with well-established policies and procedures as described in UCC Student Handbook and College Catalog. 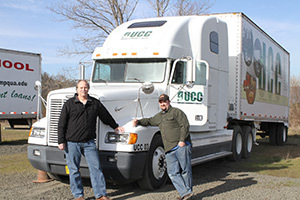 The Umpqua Community College Professional Truck Driver certificate includes classroom training covering: log books, trip planning, and hours of service. This is followed by road/yard training covering; behind-the wheel driving, entry-level driver training, 3 types of backing, pre-trip practice, and completion of the CDL drive test. In order to obtain the Certificate students also take the Transportation Customer Service course and complete a minimum of 100 hours of Cooperative Work Experience which includes a sixteen hour seminar. If you have a CDL and need additional hours to improve or refresh your skills, sign up for CDL Class A Refresher Training. The trucking industry expects to hire about 80,000 new drivers every year for the next 10 years, according to a survey done by the American Trucking Association. Women and minorities may have even greater opportunities. 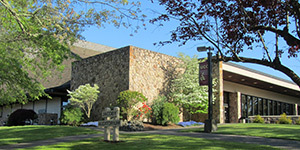 UCC provides graduates with job placement assistance. Recruiters from local and national trucking companies visit UCC classes. It is common for students to have multiple job offers before graduation. However, UCC makes NO guarantee of a job. You are encouraged to research and choose the trucking company that best suits your needs rather than accept the first offer. It is strongly recommended that students stay with the first company who employs them for at least 1 year. Once you complete the program, it is very important you keep the school informed of your current address and phone numbers. You will receive periodic follow-up placement inquiries from UCC to document job placement. In addition, UCC requests that you notify the school once you have gone to work for a trucking company, after 30 days of work, and again after you have been on the job for 90 days. For more information about this field, you may want to explore the Oregon Labor Market Information System website. Must have a valid Oregon driver’s license with at least one year driving experience. Must have no felony convictions in the past seven years if applying for Hazmat. Must pass a DOT physical and have a clean urinalysis (DOT pre-employment drug screen). Must provide verifiable work history or schooling. Must be at least 18 years old to drive intrastate, 21 years old to drive interstate. Most trucking companies will require you to be at least 23 years old. Be sure to check in with the program coordinator if you have questions. Once you have met the program prerequisites: Go to Occuhealth, take and pass your CDL Physical. Then go to DMV to take the General Knowledge, Air Brakes and Combination Vehicle Tests and obtain your Class A CDL Permit. Be sure to stay in contact with the Program Coordinator to be scheduled for the class. Yard/Driving portion: M - F, Most days will be 7 am to 3:30 pm. Some days will start at 6 am. One night drive is included 3rd program Thursday will be 9 pm to 6 am. More info on this will be given in class. Classroom portion will be held 7 am to 3:30 pm for one week. Road and yard training will be held 7 a.m. to 3:30 p.m. Monday through Friday for three weeks (with a few exceptions for longer-earlier mornings or the night drive. 3rd Party Tester will come in the end of the 4th week Friday evening, Saturday, or Sunday).